Mobile apps are the perfect way of delivering your business idea to your customers. Around 3 million apps are currently existing in the market. Developing an app for your business is undoubtedly a brilliant idea that you would prefer. By developing a mobile app you are now able to reach a wide audience. But the only drawback that hits most of the businesses is the right approach. Most enterprises fail to choose their right developer nor they fail to concentrate on the essential part of the mobile app. Either of this definitely occurs. To overcome this, I have framed a list of things to concentrate while developing a mobile app. 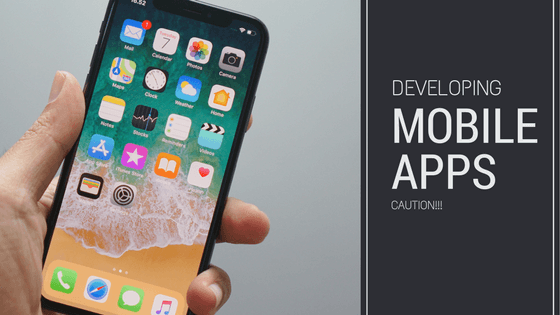 On following these strategies for developing a perfect mobile app one can definitely be a successful mobile app developer. A familiar term “Feature rich” Is often used by most developers who add an excess of features just to grab the attention of users. This is where they fail to understand that the core functionality is lost, making experiences tough. This obviously makes the app heavier, increasing the cost and app development time. Rather, developing an app that holds fewer can help users to concentrate on the core features and improves the functional value of the app. Customers are the kingpin of any business. You develop an app to satisfy your customers and allure new ones. And that is why it is required to develop a customer-friendly app. Make sure that you are creating an app that your end-user can interact better. A well-furnished mobile app with a unique customer experience will gain you more users. People are fond of social media platforms like Facebook, Twitter, Instagram, etc., to make your mobile app more interesting among users you need to have social media links. This could avoid people from undergoing long registration processes rather enhances the overall user experience. Analytics provides the appropriate data on user engagement and also provides the information on in-app behavior. The information includes daily and monthly users, the rate of detention, duration of a session and much more. This information could help you with understanding your user expectation and their requirements. In spite of having a perfect app idea, if you fail to render it with a good user experience then the entire show would be a flop. Always try to remember the key factor while designing an app. It is obviously the SIMPLICITY. Create an app that is perfectly outlined and user-interactive. This helps users to navigate within your app in a matter of seconds. Also, confirm that your app is responsive to all devices without the flexibility issues. You can even refer from the leading apps to know about the UI trends. Most of the times app developers fail to notice the review from their clients or users. This badly affects the growth towards success. It is good to collect all relevant information and feedback from customers and get them fixed in your app. Regular or frequent updates might create good impressions. So make sure that you redesign the app with proper feedbacks, trends and make it a better experience for your users. Many apps are designed with a misassumptions that “mobile apps are an extension of a website”. This has lead to failure of app designs. Apps are meant to deliver a different and a unique value when compared to a website. So, user-experience should be well optimized for a mobile interface. It is a destructive idea if a company decides to follow website pages on designing a mobile app. Testing is the most important session that every new mobile app should undergo before its launch. This is done in order to know whether the app is free of bugs and technical obstacles. This can help with improved app performance and efficiency in delivering a fine user experience. Make sure that the app is well verified by third-party experts and try to involve experts in the testing process of app development. As recommended earlier it is good to refer a leading app but copying or imitating them completely makes no sense. Every app is unique and holds a distinctive set of features. If you are trying to copy the exact features of an existing app then you will have to lose your uniqueness. To avoid this issue, you need to make an analysis of qualitative data that meet your customer needs and expectations. With this data, you can build a perfect app that can excel your business. Make sure that you are not performing any of the above-mentioned mistakes. On avoiding all these you could possibly create a unique and a distinctive app for your business. Your app is the one that carries your business to the next level. Make sure that your app is rendered properly to your audience. When you fail to do so then you are declining your business growth by yourself. To make sure that you are developing an excellent and an efficient app, you can seek the help of a mobile app development company. Experts from the company can guide and insists you on techniques and technologies of latest trends. This may help you build an efficient, flexible and a user-friendly app. Do let me know your success stories.